On Saturday, 9 July, Marc and myself took Logan for his first ever game drive. My mom, Jason and Kelly took turns looking after the little monster for us so we could have some quality time with just the 3 of us. Thanks a mil guys! We then walked around for a bit before we met out front for our 10h15 game drive. Our guide Romeo handed out some much needed warm blankets (most of us took 2 each) and then we were on our way. The first animals we stopped at were some hippos and Logan was upset because he was on the wrong side of the car and he couldn’t get a photo of them. I tried to explain to him that he will have lots of chances to take photos as the guide will drive around a few times for different angles, but he wasn’t listening and I braced myself for a 2 hour drive with a miserable 7 year old. In true game drive fashion though, the guide drove around the lake and stopped even closer to the hippos so Logan could get a better view. That perked him up and he was in a much better mood for the rest of the tour. He did have one more sulk session when we stopped for refreshments, we were 1 hour 30 minutes into the drive and he was getting tired and hungry so don’t really blame him. He sulked and was moody for about 10 minutes, but then apologised and cheered himself up. It goes to show how quickly he is growing up and how he’s learning how to cope with life. I’m really glad he cheered up though because after that he got to see the lions and rhino. Before the tour started I asked Logan what he wanted to see most and his answer was the elephants. I found out later that he told Marc he wanted to see the giraffes. If you ask him now what his favourite animal was to see and he’ll tell you it was the rhino. I don’t know why he seems so facinated with them, maybe it’s the horns, but he really loved seeing them up close. The best was he got to see 2 baby rhino as well, that to me was really awesome as it means the animals have settled into the park and hopefully means they will continue to breed so the species can survive. I also learnt an interesting fact and a way to never forget which rhino is a grazer and which is a browser. Apparently the white rhino got it’s name because of a misspelling. It was supposed to be called the wide rhino because of it’s wider mouth (for grazing) and instead it was called the white rhino. Will never forget that now! 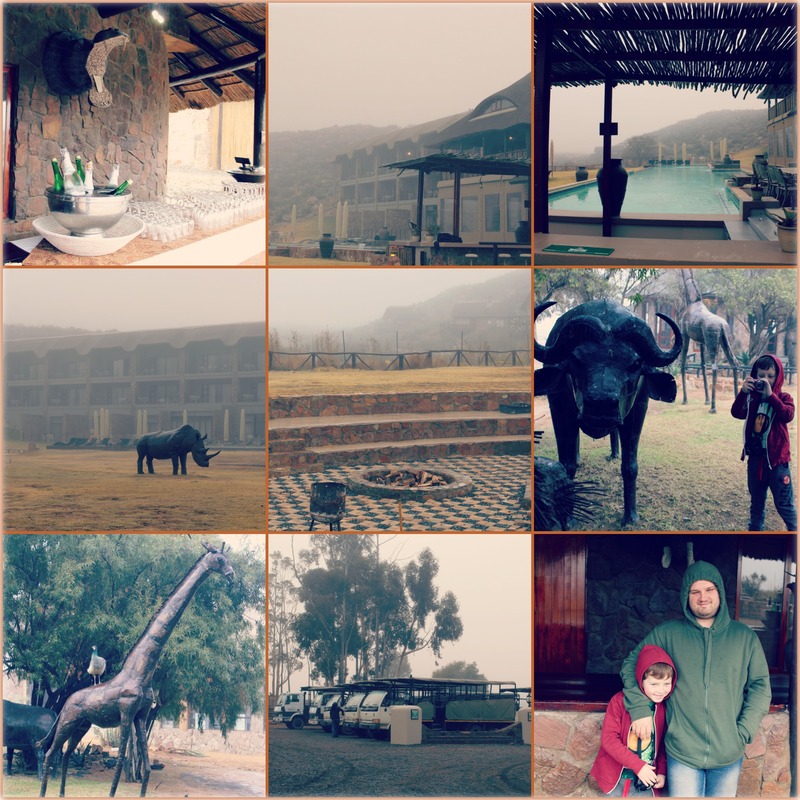 We unfortunately only saw 3 of the Big 5, but that’s still better than nothing! We saw elephant, lion and rhino, but missed out on the buffalo and leopard. We didn’t see many buck, just some small herds of springbok here and there and also some loan ostriches. 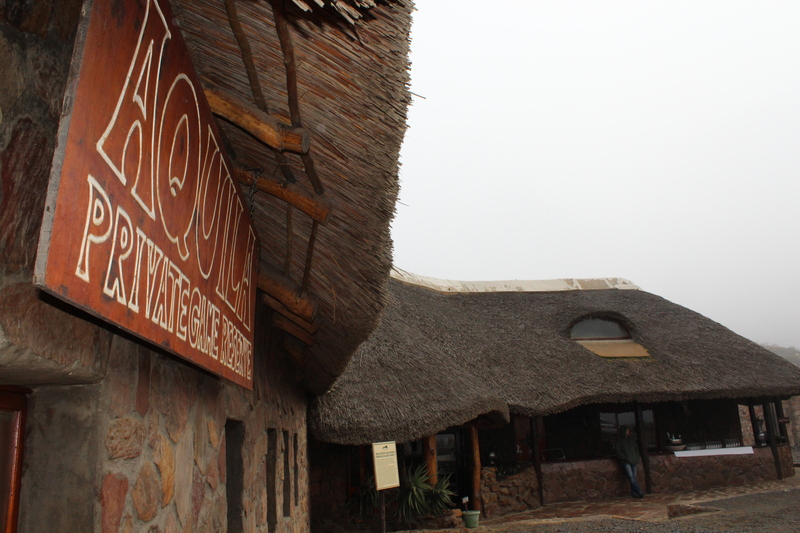 Aquila do the normal safaris, but then also do 4×4 and horse riding safaris. I don’t think you get to see the lions when doing the 4×4 or horseback though. They also have fly-in safaris which combines picking you up from Cape Town in a helicopter or small plan and then going on a game drive before flying back. It was really an awesome experience and I’m really happy I got to share it with my hubby and eldest. We will definately be going back!